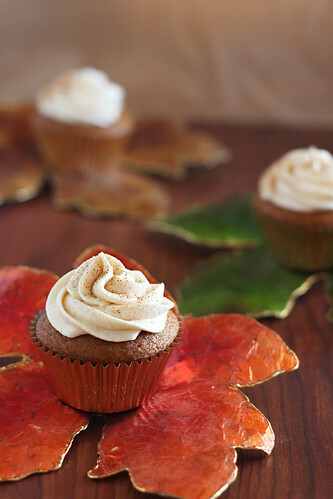 Mmm – your pumpkin cupcakes sound awesome! I agree that one can never have too many pumpkin recipes. Bring them on! So….I had you in my reader but then I never updated my reader when you got your own .com. I finally realized it today and now I’m trying to catch up! Crazy that you guys moved back to SD. Oh…and these cupcakes rock. Love the brown sugar frosting! Made these cupcakes for my co-workers and they went CRAZY. I am not an regular baker either, but prefer making pastries and sweets from scratch. This was a fairly easy recipe to follow and the flavors are spot on! This honestly might be one of the best cupcakes I have ever eaten. I love your pumpkin recipes! I make Pumpkin Doughnuts that are great! I also replace 1/2 cup of liquid in my favorite waffle recipe with 1/2 cup of pumpkin! 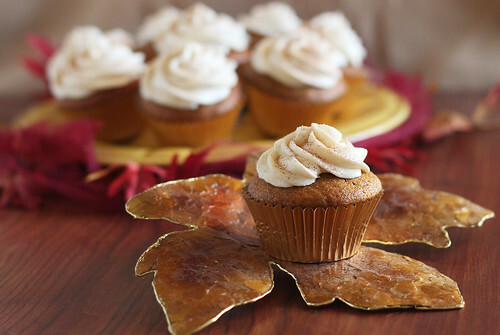 A friend posted your Pull-Apart Cinnamon Sugar Pumpkin Bread with Buttered Rum Glaze, I was like OMG these sound great! I found your other recipes and can’t wait to try them.